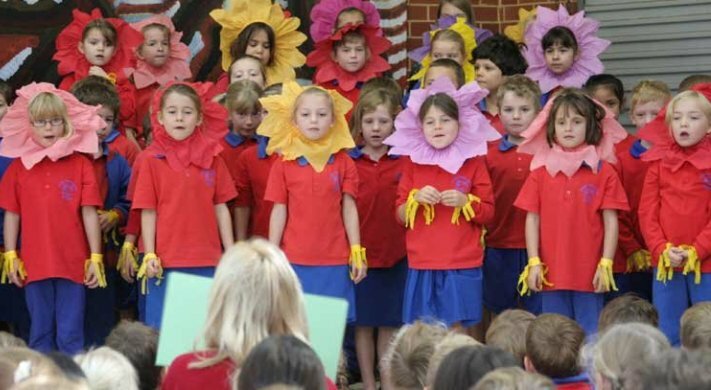 Palmyra Primary School is a dynamic and inspiring school located 3 kms from Fremantle. There are approximately 450 students from K-7. Palmyra is the demonstration school in WA for the SAKG program. They have a productive 'Pally Patch' permaculture and organic garden where students learn how to grow fresh fruits and vegetables. During class time students harvest and prepare food in their open air kitchen. At the end of each session students share the meal they have prepared with their peers, staff and volunteers.